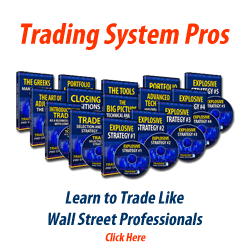 The StockTradingCoursesInfo.com website is committed to bringing you information that is tailored to your individual needs and, at the same time, to protecting your privacy. The following is a summary of the various ways we treat the information you provide us while using StockTradingCoursesInfo.com website. The StockTradingCoursesInfo.com website does not collect personally identifying information except with your specific knowledge and consent. We do not share such information with any outside party. However, if you wish to be removed from our mailing list, please submit an email request to support@stocktradingcoursesinfo.com with “Remove from Mailing List” in the subject line. You will be removed from all communications within 2 business days. In a few cases, if you e-mail a question or some feedback to us, we require your e-mail address so that we can provide you a personal response. If you choose to supply this information, we will use it only for the specific purpose for which you supply it – unless we tell you otherwise at the time of collection, in which case you’ll have an option to forbid other uses by us. We will never share any of your personally identifying data with any other party without your explicit permission, nor use it for unapproved commercial purposes. We may offer to send you information or updates from StockTradingCoursesInfo.com Website via e-mail or otherwise; obviously, signing up will put you on a specific mailing list. We will not put you on any other mailing lists, from us or anyone else, without your permission. Your Web browser likely includes an option that allows you not to accept them. We don’t recommend using this option, though; It makes browsing our site a less enjoyable experience. In fact, some of our content pages require at the very least, cookies for sessions. Finally, while your individual information is protected as outlined above, we reserve the right to use aggregated, anonymous data about our users as a group. For instance, we might report to potential merchants that a certain percentage of our users appear to be return internet shoppers.